Betty Shepherd at the stables of Trevors Stud in Phillip Street. 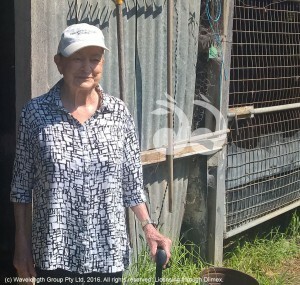 BETTY Shepherd was the first female horse trainer in the world, but says she never encountered a glass ceiling, a few hushed tones at an Inglis sale perhaps, but nothing that held her back. According to Betty it was a boy at the fruit and veg shop with a cute bottom that led her to a career in racing. “I was working at the chemist across the road from the shop, where Scone Legal is now and I tied my horse up behind the shop and saw a good looking guy with a beautiful bottom,” she smiled. “I decided I was going to marry him and I was 17 and a half when I did,” she said. “We were married for more than 60 years,” said Betty. “I can’t remember never riding, growing up then we always rode horses,” Betty said. 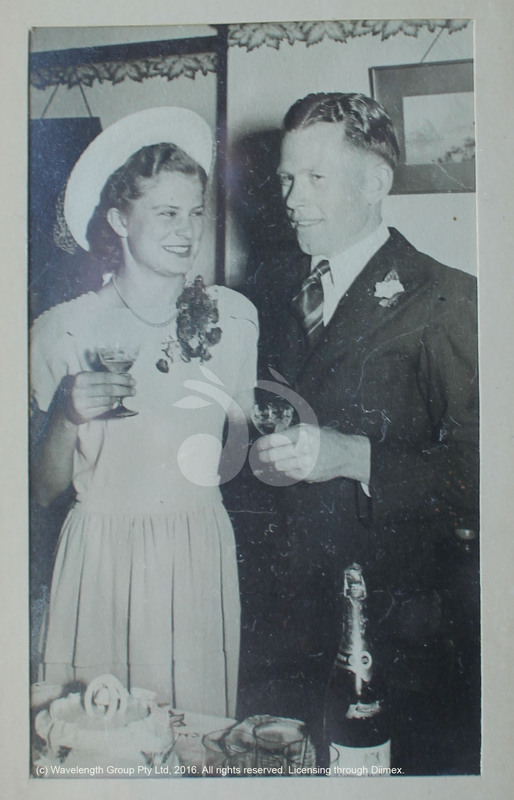 Betty and Archie Shepherd on their wedding day in Sydney. Betty was the youngest of seven children. Her brothers and sisters were born in Scone, but the family moved to Tamworth during the depression for work and Betty was born there, before the family later moved back to Scone. 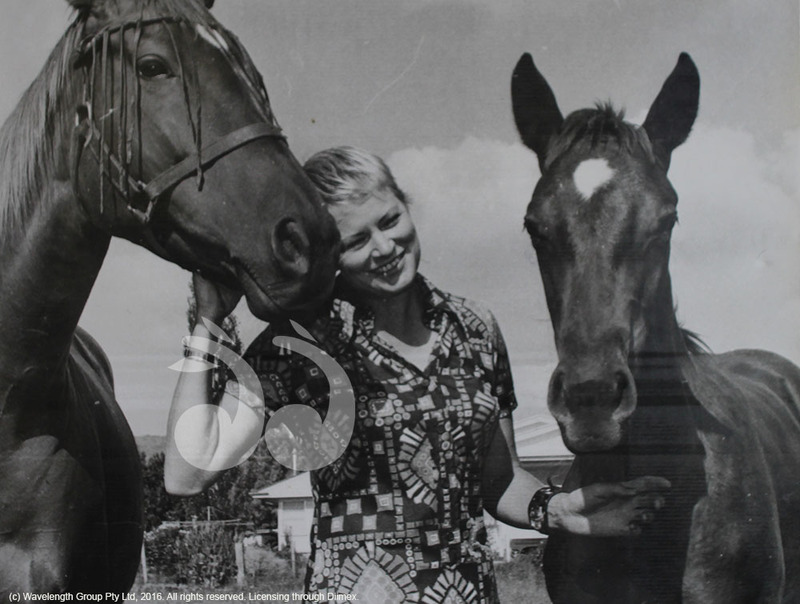 Betty and her husband Archie trained race horses together at their small stable in Phillip Street, Scone. It was when Betty was doing track work in Tamworth in 1953 that she was told she had to be registered as a stable hand to be working at the track. Betty quipped that she should be registered as a trainer, so she filled out the paperwork and became a trainer. There was no fanfare, just some simple straight forward paperwork, but Betty thinks her charms may have helped. “He fancied me a bit, I was a good sort in those days,” said Betty. “There wasn’t that much said about it,” she said. “After I applied for it Dawn Flick, she was from Tamworth, she did too and she got hers straight away. “If people were saying things I didn’t know and I wasn’t listening. “Well, we had the shop and I was training horses and preparing yearlings and things like that, I was always too busy to worry about anything else,” she said. “I was cheeky you know, I just got on with things,” Betty Shepherd said. Mrs Betty Shepherd riding Quick Knock in the early 1950’s. 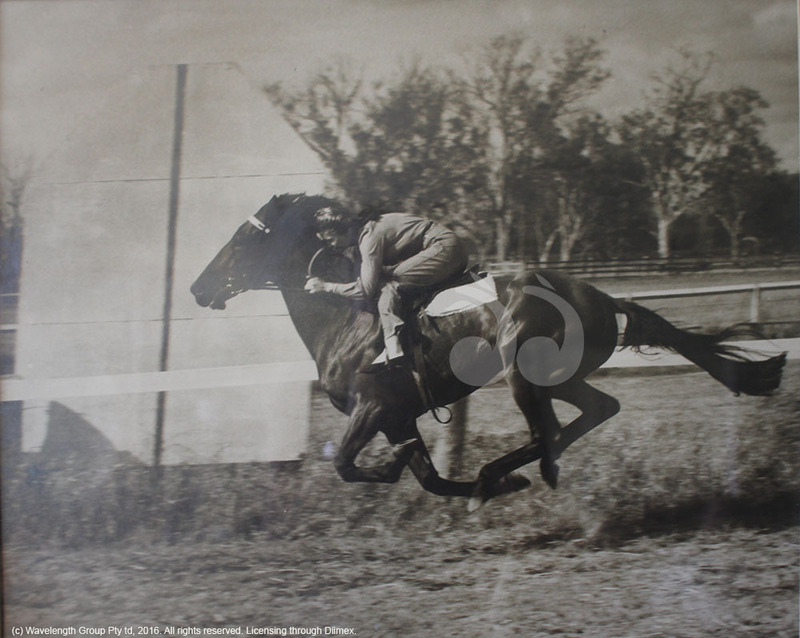 Betty was never officially a jockey but she rode in barrier trials. The photo of her riding Quick Knocks was indicative of the riding attire of the day, no skull cap and no boots. 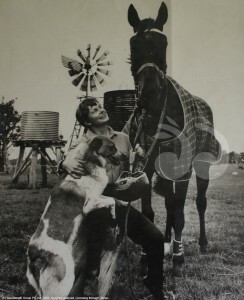 With the gelding Trevors, Betty became the first female trainer to have a horse in the Melbourne Cup and Caulfield Cup. He was a horse by Good Brandy and Blue Lass but was not part of the stud book. “He wasn’t stud book and they didn’t want him, they gave him to me as a foal and I broke him in and trained him,” she said. Trevors won three trebles in a row during 1965 and 1966. The first was two at Rosehill and one at Canterbury; the second was two at Randwick and one at Canterbury and in the final treble in 1966 two at Randwick and one at Rosehill. Trevors went on to run in the Caulfield Cup where he had a photo finish for third, but was pipped at the post. First female trainer of a horse in the Melbourne Cup: Betty Shepherd in Melbourne with Trevors and the guard dog Rastus. He ran in the Melbourne Cup in 1966, but was not up to the distance and ran eighth. The stables which still stand tucked away behind Phillip Street would draw a crowd when Trevors was at home. “When we had him it was like grand central station there, at any time there would be 10 or 20 people in town down at the stables looking at the horse,” she said. There was an American buyer interested in Trevors, but the horse died suddenly in Scone. Betty recalls Murray Bain, a local vet and sizable man who tried to resuscitate him, but was not able. Of all the horses she had, Trevors was her favourite. “We were absolute mates,” she said. “I broke him in and did everything, so he was mine from the beginning, but he was a quiet horse for anyone to handle,” said Betty. Trevors is buried in her backyard under a big tree, along with other family pets. 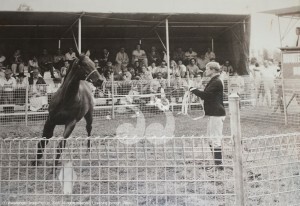 Betty Shepherd showing a horse at the Scone yearling sales. 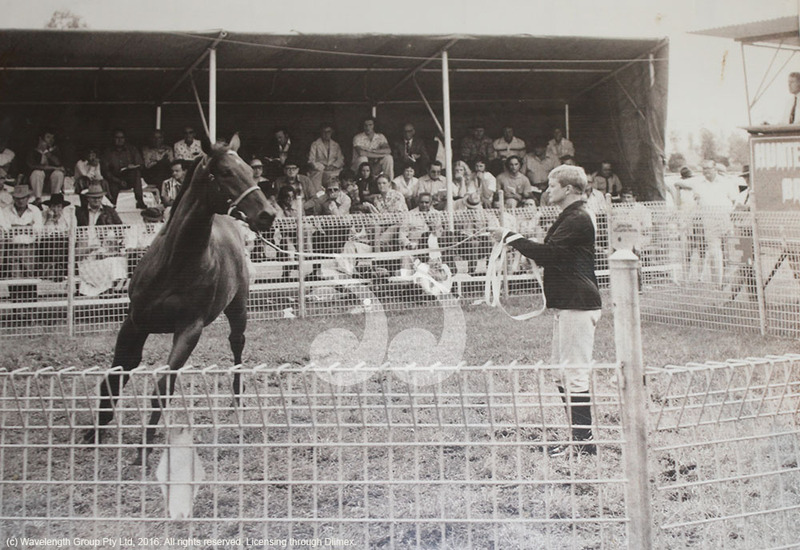 Betty was also the first female to show horses at the Inglis Easter sales like her other firsts, she fell into it. She had been working with the horses, but a man would the always walk the horses into the ring. When a male handler did not turn up and the horse was being called to the ring she stepped up and led the horse out. “There were a few hushed tones at first, but things carried on,” she said. “Because I handled the horses all the time, they responded well for me in the ring,” she said. 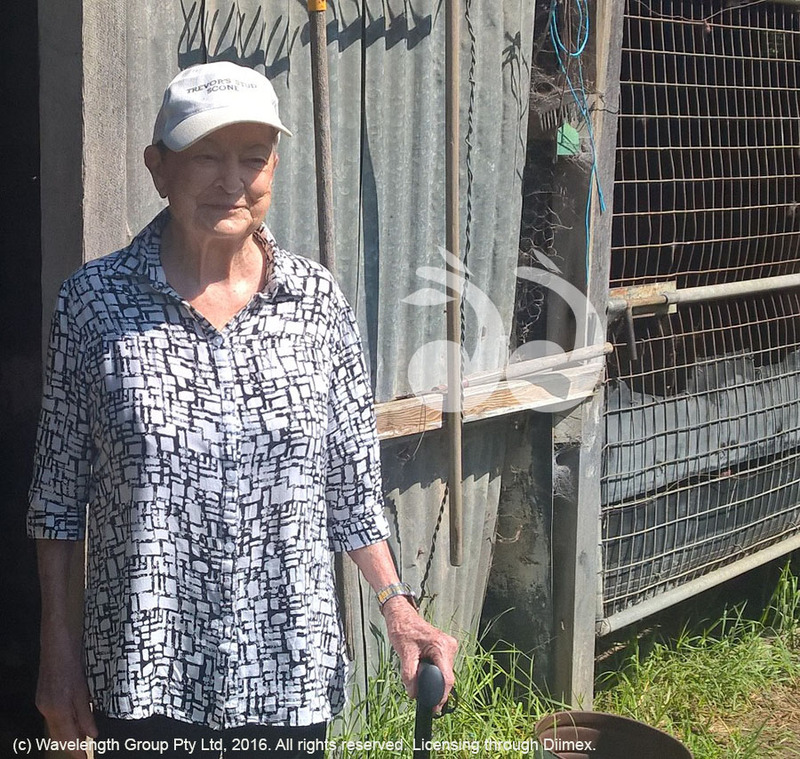 “In those days we had to get them lunging and rearing up and things and they did it all well for me,” Betty said. There were many things Betty learned about equine care and has made note of in a book she can not quite recall where she placed it, but it is full of equine tips accumulated over a lifetime when vets were not always available and simple remedies helped. She has jotted down recipes for ointments, simple advice and shared her knowledge with many younger horse people over the years. There were always a good number of young females from the industry who would visit Betty to learn from her. “Girls have a different way with horses, they are more maternal with them, they love their horses, men are more aggressive with them,” she said. Her advice to young people in the industry working with horses is simple “be kind, it makes a horse quieter,” she said. Betty doesn’t believe stallions are as good for racing. “They are more aggressive, they hurt themselves more easily in their nether regions and are difficult when there is a mare in season,” she said. Betty muses that maybe there was no problem in her notable firsts as a female in the racing industry because she was always her own boss. She worked with her husband Archie as a team on the track and in the shop. Hot Piper, one of the last horses she trained, was a Whisky Road horse and is now living out his days with a friend in the Barrington. The last thoroughbred at their stables died a few months ago and now the paddock is home to a naughty Shetland and a friends pony.